User licenses are available for commercial and non-commercial customers. 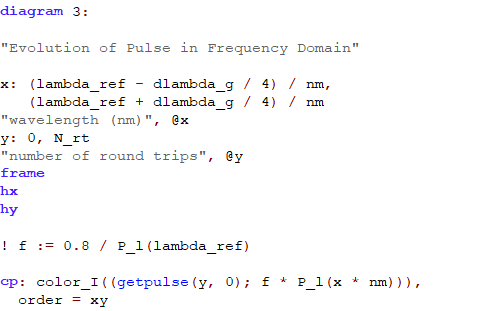 Let the software automatically compute as many resonator round-trips as required to reach the state steady, where pulse parameters don't change any more. 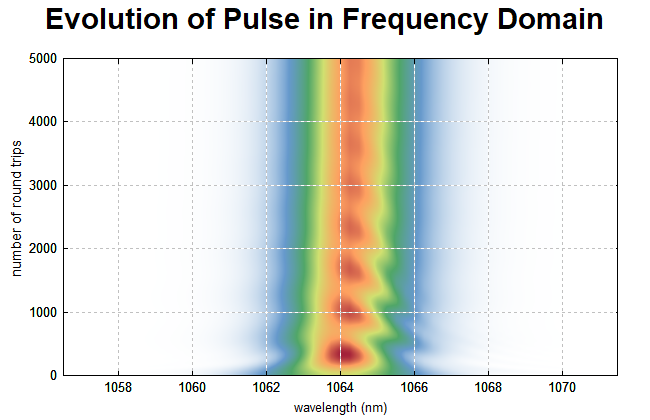 Send the laser output pulse through additional components (e.g. a nonlinear fiber and a dispersive pulse compressor). Generate other graphical diagrams for visualizing pulse properties or whatever else. You can download our brochure in PDF format. 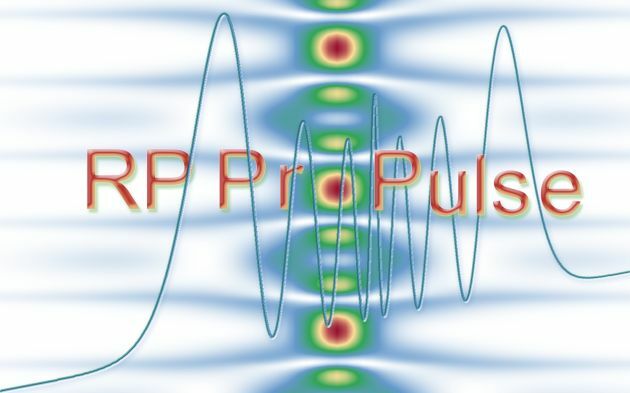 RP ProPulse can simulate a great variety of effects which modify the pulse, including wavelength-dependent linear loss, saturable losses (fast or slow saturable absorbers), two-photon absorption, amplitude or phase modulation in a modulator with arbitrary drive signal, laser gain (with various kinds of saturation characteristics), parametric gain, second-harmonic generation, chromatic dispersion of arbitrary orders, self-phase modulation, Raman effect, self-steepening, four-wave mixing, quantum noise effects (e.g., spontaneous emission noise in an amplifier), and dispersive compression (with automatic optimization). There are simple and flexible options for the definition of the optical components in a laser resonator, allowing one to quickly test the influence of the order of the components, for example. There are very flexible options for detailed specifications: e.g., import of dispersion profiles of optical components or initial pulse profiles from files. 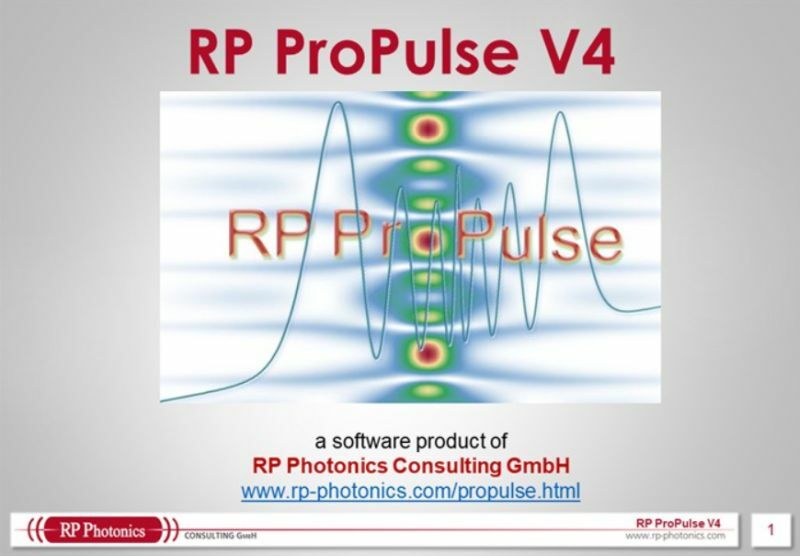 An interactive user interface can display all kinds of pulse properties at different locations in the laser resonator, and for a variable number of resonator round trips. Also, one can interactively display spectrograms and Wigner plots. The powerful script language gives the software an extraordinary degree of flexibility. 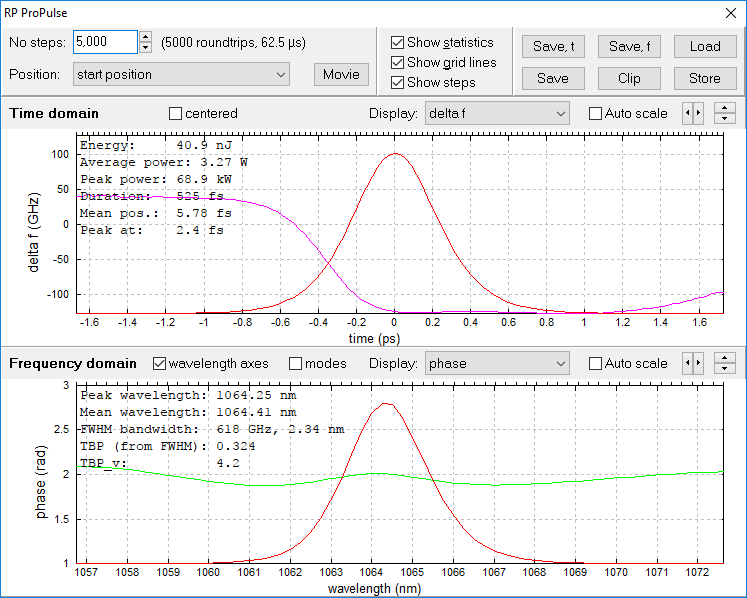 For example, basically arbitrary types of plots can be prepared to visualize results in a clear manner. It is also possible, for example, to export data in most flexible ways, or to do statistical evaluations. With these features, the software can be applied in a great variety of cases. Some examples are shown as demos. You will hardly find any other software product which can do such simulations with a similar degree of flexibility. Another important aspect of this software: you can verify that its developer is a top expert in this technical area who surely understands the involved physics and knows the scientific literature. He has a very deep experience with the physics and mathematics of pulse generation and propagation, related to mode locking of different kinds of lasers, dispersive and nonlinear effects, pulse propagation modeling, etc. He will be the person who makes sure that any problem you may have with using the software will be solved very soon. Substantial technical support – also usable for more general consultancy on related technical matters! – is included in the license fee.